When taking a look at factors affecting millennial home buying, finances play a major role. According to the National Association of Realtors 2018 Home Buyer and Seller Generational Trends Survey, student loan debt impacts more than 50% of millennial home buyers. “About 85 percent of millennial home buyers view their home purchase as a good financial investment,” says Lawrence Yun, Chief Economist and Senior Vice President at the National Association of Realtors. The student debt does not hinder millennials from buying their first home, rather prompting them to consider more affordable locations. However, meagre housing supply is putting pressure on their search for affordable homes. According to a news release from NAR in July 2017, total housing inventory nationwide measured year-over-year has fallen each month for over 2 years. Given these supply challenges and need for space at an affordable price, where are they moving? The effort to link affordability with desirability has given rise to nine millennial trends. As they grow their families, millennials are leaving big cities. Only 15% of millennials bought a home in an urban area in 2018. This is a 2% decrease compared to previous year and 4% down looking back two years, according to NAR’s generational survey. Millennials are now choosing the Suburban areas that have a mix of suburban and urban features. Not only being affordable, this new way of living allows them extra budget to spend on things they love. Cities like Kansas answer home buying challenges by evolving into a place millennials want to call home. Due to large investments from the public and private sector, these cities underwent mixed-use development that is attractive to both residents and business. 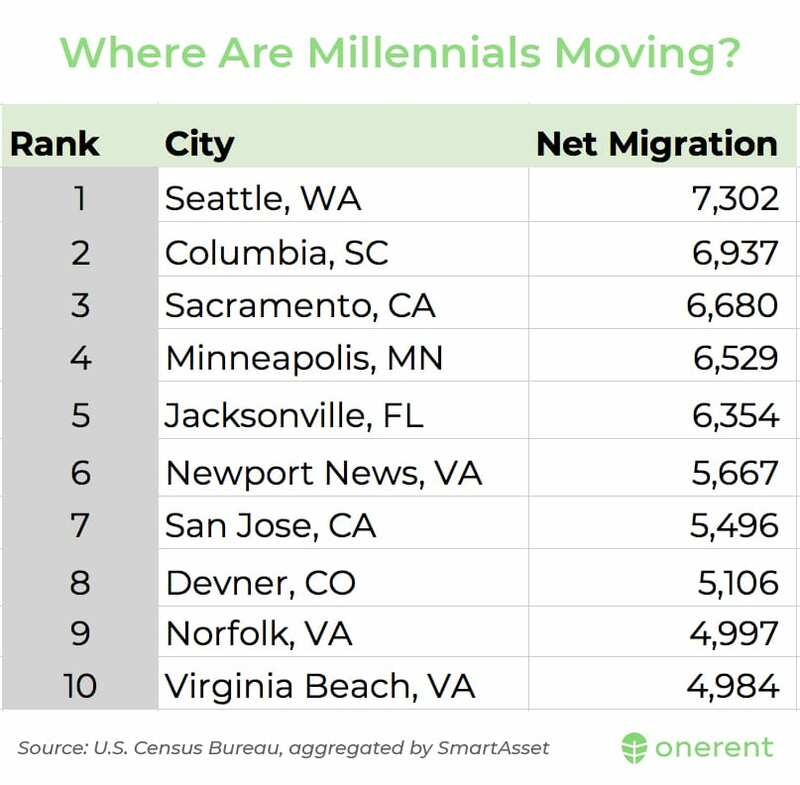 We’ve seen a mass millennial migration towards new cities such as Seattle, Washington, DC, and Minneapolis. From a recent report that tracked top cities millennials were settling in, poplar cities such as New York, Los Angeles, and Chicago did not make the top 10. Cities are now adapting their environment to appeal to millennials through expanded developments and incentives. Midwestern cities such as Madison and Omaha attract millennials with their lower than average housing costs and healthy job opportunities. The unemployment rates here are 2-3% compared to the 4.3% national average. Millennials love energy-efficient amenities at home. 61% of millennials claimed they are looking to sign up for smart technology applications to track their energy use over the next 5 years. This can be in the form of smart light bulbs, smart thermostats, or technology equipped refrigerators. 56% millennials stated that they are looking to add solar power to their homes as well. This gives them not only a good feeling of helping the environment but also saves them money. To learn more about what features new home buyers are looking, here are 6 things buyers want in a new home. Cities that once relied only on manufacturing are now attracting millennials. Their urban core values, real estate value, and reasonable cost of living draw many. The influx of industry and tech companies have given new life to cities like Pittsburgh and regions between Buffalo to Omaha. Techies now don’t have to move to Silicon Valley to work. They can find somewhere that suits their lifestyle preferences to call home. One such example is Austin ranking as most affordable in addition to quickly becoming the Silicon Valley of the south. Companies like Amazon, Google, and Facebook operate offices there. Amazon’s highly anticipated HQ2, their second North American headquarters, will be a guaranteed area for millennial migration. Amazon currently employs over 340,000 employees and have brought in $38 billion to Seattle’s economy since establishing base there. Homeowners who owned real estate property before the tech boom in Seattle have easily grown their property value now that Seattle is a popular area. Amazon’s next headquarters will be a cash cow for real estate investing as it is estimated to invest $5 billion and employ 50,000 high paying jobs. 1. They lived in their parents house longer and saved up sufficient money for their home purchase. 2. They have satisfying careers that pay large paychecks to save up faster. 3. They have wealthy parents making gift contributions towards their mortgage. According to a recent millennial tracker survey by Ellie Mae, 89% of mortgage loans availed by millennials were for new home purchases. If you are curious to learn more about home savings, take a look at these top 6 ways to save money for a home with low income. The millennial market is on the move. Rising rents are motivating millennials to home ownership. A recent survey from realtor.com shows rising rents and its impact on millennials. According to a recent survey by Toluna Research for realtor.com, 23% of 1,000 millennials stated that rising rent was the deciding factor for their home purchase. 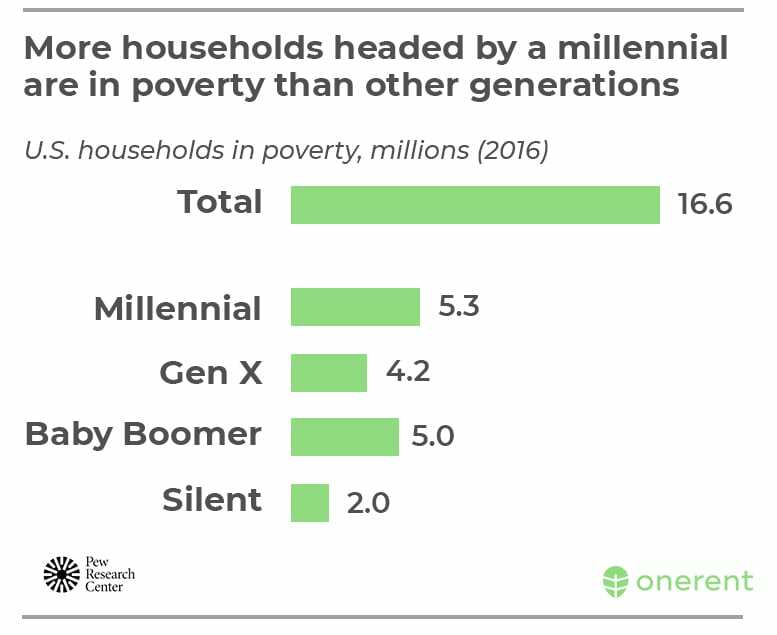 Millennials, at 75.4 million, have now surpassed baby boomers as the largest generation alive; however, they also are the largest generation living in poverty. Millennials still fall behind baby boomers when it comes to homeownership. Millennials face several challenges. This includes rising interest rates, low inventory, and escalating home prices. This makes home buying a challenge for millennials just entering the market. Millennials, on the other hand, represent roughly half of all households rented within the past year. The Consumer Housing Trends Report 2017 from Zillow proves this. One recommendation we give to all millennials is to use the “Poplar Home Savings Calculator” to find out how soon they can buy a home. This gives you clarity to set you on a path towards homeownership. Millennial homeownership is possibly the most discussed topic of the past years. With rising rent and home prices, it can be common to get drowned out by the headlines claiming how Millennials are hopeless when it comes to buying their first home. With a clear understanding of data, we can get understand that millennials are not far from homeownership with the right tools. This article has been contributed by our friends at Onerent. 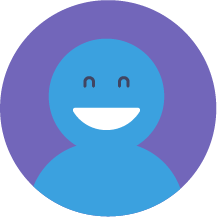 Onerent is a rental leasing and management service for the modern owner and renter, managing over 1,000 properties across the San Francisco Bay Area and Greater Seattle. Onerent offers free real estate education and resources on the Onerent Blog. Find answers to all your legal, maintenance, finance, and leasing questions as well as real estate news affecting the housing market. How is the US real estate market 2017 different from the US real estate market 2016? New York Housing Market 2018 Forecast – What’s the Deal?